The Indcresa R&D Department represents one of the cornerstones of the company’s creative development, its evolution and its continuous adaptation to the market, which always requires new products and innovations. At Indcresa, R&D is conducted by a team of specialists trained in cocoa technology and the culture of innovation. They implement innovative initiatives to discover and improve products and production processes, providing creative solutions that are adapted to developments in the market. Moreover, R&D enables Indcresa to react more quickly to the needs for innovation, ensuring greater security for customers by reducing the risks in the manufacture of their products. 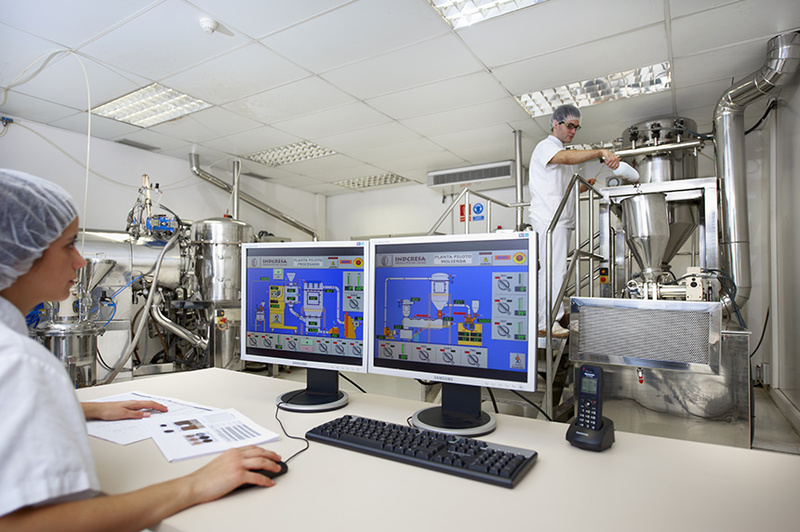 The department is equipped with a modern pilot plant that reproduces the entire production process on a smaller scale. This enables testing to be carried out to optimize production and adapt us to the special needs of customers, providing new solutions and products. Our engineers are always ready to work with customers and advise them on the development of new applications of cocoa powder.